I love fall with its beautiful changing colours and one of my favourite ways to enjoy the season is to spend a weekend in a cabin. Well, I pretty much enjoy that year round, since summer has the advantage of lake swims, winter has the fun sports and fireside hangs, and spring has sugar shack season. What can I say, I love cottage life. This past month, I spent a weekend at a cottage in Magog, Quebec and packed all I needed in one small bag. Take a look at my packing list to find out how to pack for your own weekend getaway this fall season. Two pairs of jeans, dark and light washes. I probably only needed one, but I wanted to switch up my outfits a bit more than usual. Two sweaters, one bulky and one thin. The thin one worked well for active daytime use and the merino wool composition made sure I was neither too hot nor too cold. Two t-shirts for layering and sleeping. I love to wear thin merino wool undershirts to regulate my body temperature and also, so cozy! One pair of soft pants for lounging. I bought a merino wool blend pair on sale two years ago and wear them basically all winter long. Slippers for around the cottage. I picked up these merino wool Allbirds loungers last year and they make me so happy. 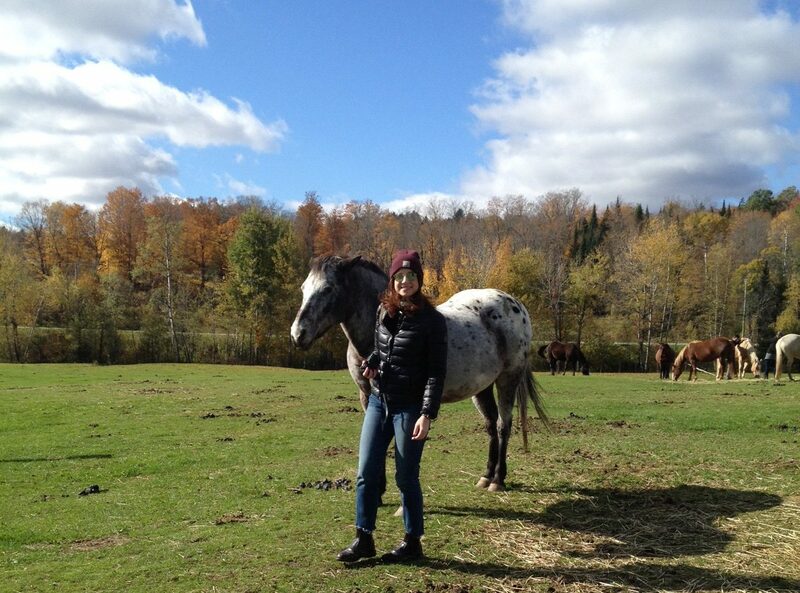 In Magog, I mostly hung out with my family and friends, but I also went horseback riding! I hadn’t done it in a while but it was a lovely alternative to my usual hikes.